Easier than painting and less of a commitment than hanging curtains, these five rugs will brighten any corner (or the center) of your home. Kelly Wearstler, one of America’s most well-known interior designers, has been working with The Rug Company since 2008. Here she gets graphic, depicting gradient squares in hand-knotted Tibetan wool. The Grass Rider floor mat by Domestic Construction can be used indoors or out. French industrial designer Samuel Accoceberry’s braid-like rugs for Chevalier are hand-knotted in Nepal from wool or a wool-silk blend. 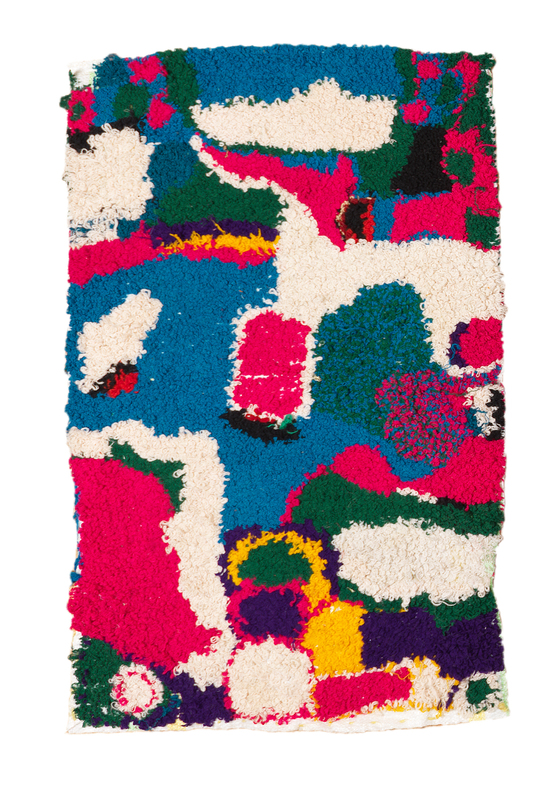 This hand-felted, hand-sewn rug from Stephanie Odegard is made from 100% recycled strips of wool, with a style inspired by traditional artisan craftwork. As it's able to be bought by the square foot, you can accent a spot in the living room or fill your floor with a larger piece.